Calling all students! Take part in our student prize draw. Don't miss out on the chance to win an Affinity Portable Flexible massage couch! 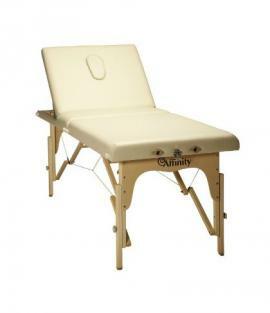 The Affinity Portable Flexible is one of Affinity's original couches and over 17 years on, due to its classic style and great value, it's still one of the most versatile and best loved professional massage couches in the marketplace today. To enter follow the link below and fill in your details to be in with a chance to win! "It is adjustable, very stable, and a comfortable massage table made of high-quality materials and most importantly it is foldable and compact. It will definitely help me to improve my practical massage skills in the home environment. Thank you very much!" We are dedicated to helping our student members flourish, promoting the highest standards in education. Whether you are looking to train to be a complementary, sports or holistic beauty therapist, we’re here to help you. Prize draws applicable to eligible students or therapists, aged 18 or over. Only one entry per person. We regret only the winner(s) will be notified. Entry implies acceptance of these terms and conditions.